Federal immigration officers arrested four undocumented immigrants who were receiving medical care at an aid station near Arivaca, Arizona, a few miles north of the Mexican border. Agents said one of the men is a convicted felon. 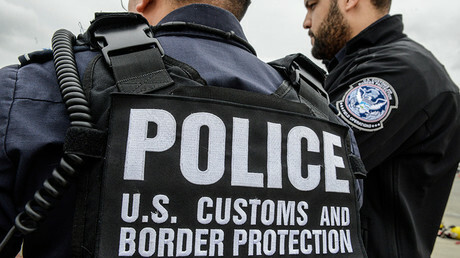 The group said that CBP used a helicopter, 15 trucks, two ATVs and 30 armed guards in the raid to apprehend the four men. 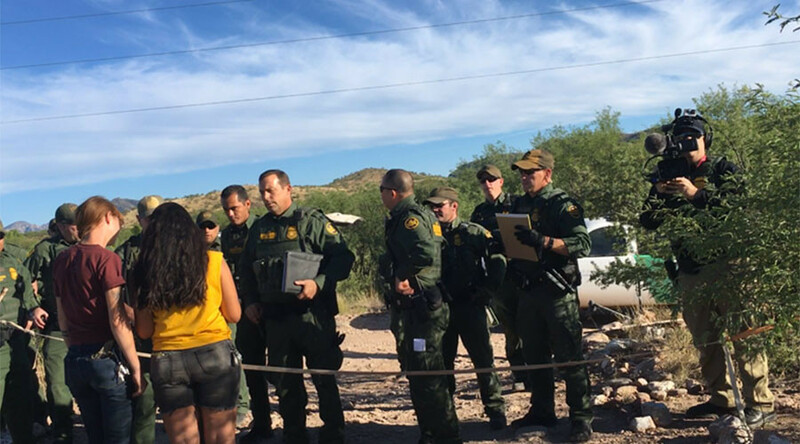 According to the group, Border Patrol agents surrounded the facility on Tuesday and set up a checkpoint to verify the legal status of anyone leaving the camp. The group posted images of Border Patrol agents around the camp on Twitter and urged their followers to call Border Patrol offices and demand that they stop surveilling the facility. No More Deaths called the raid “an egregious abuse by the law enforcement agency, a clear violation of international humanitarian law, and a violation of the organization’s agreement with the Tucson Sector Border Patrol,” according to a press release. John Fife, one of the founders of No More Deaths, said that the group has had a written agreement with the Border Patrol since 2013, which states that they will “respect the NMD camp as a medical facility under the International Red Cross standards,” which would bar them from arresting anyone seeking medical attention at the facility. CBP states that they detected four suspected illegal aliens by using surveillance technology on Tuesday, according to a press release. They say they were following the men as they walked along a known smuggling route wearing camouflage. When the agents tracked the men to the camp, they requested a federal warrant to enter the facility and search for the men. According to the CBP, all four men were Mexican nationals in the country illegally. They discovered one of the men, Diaz-Hernandez, is a convicted aggravated felon with a drug charge of possession with intent to distribute over 600 pounds of marijuana. CBP said Diaz-Hernandez had been deported from the US previously and will soon be presented for prosecution. All four men were assessed by Border Patrol agents trained as Emergency Medical Technicians and all four were found to be in good health. As a precaution, the men were also taken to a local hospital, where the staff confirmed they did not require any further medical attention. "We do believe in saving lives and we have multiple resources such as the rescue beacon towers," Border Patrol spokesman Vicente Paco told the Associated Press. "Regardless of their immigration status, we render aid." Over the past 13 years, volunteers with No More Death have been leaving provisions, such as food, water, clothes, blankets for migrants in the desert. They also have a medical aid camp based out of the Sonoran Desert in Arizona, where they provide year-round emergency first-aid treatment. The group also teams up with the Missing Migrant Project to search for missing persons lost in the desert. They claim that border-enforcement policies in the US have caused a humanitarian crisis that has claimed the lives of more than 7,000 people since 1998.